There's no way to sugarcoat this. You are way behind where you ought to be in building a nest egg. Given your age, you should ideally have a bit more than three-and-a-half times salary, or roughly $400,000, socked away in retirement savings in order to be able to retire at 65 on 80% of your pre-retirement salary, according to the benchmarks in financial planner Charles Farrell's book, Your Money Ratios. Where should you start? It would be great if there were a "Make Up For 20 Years of Not Saving" mutual fund you could buy that would churn out annual gains in the high double-digits and quickly build an impressive nest egg with minimal savings effort on your part. But we both know that's not realistic. The fact is that if you want to have any hope of a post-career life that doesn't involve a significant drop in your standard of living, you're not only going to have to start saving, but you're going to have to do so at a prodigious rate. Let's look at some numbers. If we assume your salary increases 2% annually and you start saving 15% of pay a year (which is about what you should have been saving all along), then you'll end up with a savings balance a little shy of $640,000 at age 65, assuming you earn 5% a year (6% minus 1% in expenses). That's a good-sized nest egg -- and certainly a lot more than you'll have if you do nothing -- but it's not enough to support you at anything near your current standard of living over a retirement that could easily last 30 years. So you want to ratchet up your savings effort even more. For example, if you manage to sock away 20% of salary a year between now and age 65, you would end up with a nest egg just south of $850,000, or about $200,000 more than if you save just 15% annually. I realize that's saving 20% a year, or even 15% for that matter, may seem daunting, especially since regular saving hasn't been a part of your routine. But to the extent you're saving in a 401(k) or similar workplace plan, you may be able to qualify for employer matching funds, so you won't assume the entire savings burden alone. Now let's talk about your retirement age. Sixty-five would be a reasonable goal if you had been saving for retirement throughout your career. But since that's obviously not the case, you're going to have to re-set your expectations. And in fact, just working a few more years can significantly boost your retirement prospects in several ways. 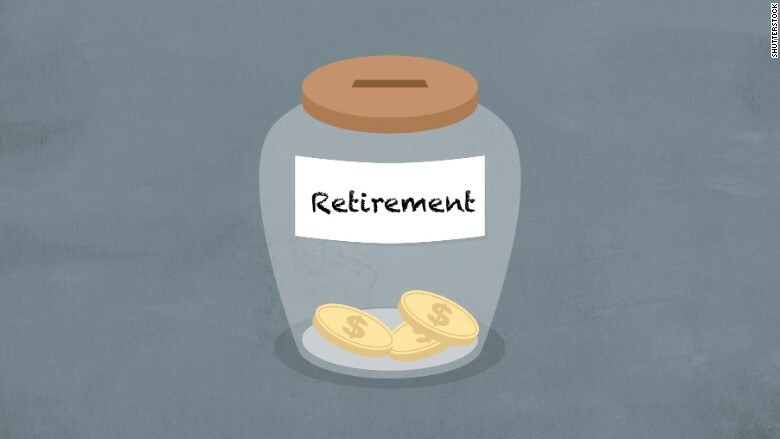 Money Essentials: How much should you save for retirement? For starters, putting in a few extra years on the job will not only allow you to save more money, it will also give your nest egg more time to grow. In your case, by retiring at, say, 68 instead of 65, those extra years of savings and investment earnings could boost the size of your nest egg to nearly $1.1 million, assuming you save 20% annually. Just as important, though, working longer will also allow you to postpone taking Social Security benefits. Each year between age 62 and 70 that you delay collecting Social Security, you increase your benefit by roughly 7% to 8%. Since you'll also be working during those years, your benefit could increase even more. To get a sense of just how much your benefit might rise by staying on the job a few extra years, you can use Social Security's Retirement Estimator. To estimate how much more you might collect over the course of your entire retirement, check out Financial Engines' Social Security calculator. There are plenty of other moves you can make to enhance your retirement outlook. For example, although there's no magical investment that can deliver returns high enough to make up for all those years you failed to save, you may very well be able to boost the return your savings earn -- and the eventual size of your nest egg -- by opting for low-cost index funds and ETFs, many of which charge less than 0.25% a year in annual expenses. And even if you're not able to build as large a nest egg as you might like before you call it a career, there are steps you can take to improve your prospects after you retire, including checking out sites like RetiredBrains and RetirementJobs.com for part-time work that can provide extra income; tapping the equity in your home via a reverse mortgage; and, if you're really adventurous, relocating to an area with lower living costs where you can get a bigger bang for your retirement buck. One final note: Given your late start, it's imperative that you periodically monitor your progress. You can do that by going to this retirement income calculator each year and plugging in such information as your current savings balance, how your savings are invested and your planned retirement age, you can see whether your chances of achieving a secure retirement are improving. If you're not moving forward -- or worse yet, find that you're backsliding -- you can see how tweaking your strategy by, say, saving more, retiring later, working in retirement or investing differently, might give you a better shot. But the important thing is that you get started now. You've apparently let the first 20 years of your career slip by without doing much in the way of preparing for retirement. That makes it all the more crucial that you make the most of the next 20.